This is more of a Q&A entry but still want to mention a few things before we go into those juicy questions! First song of the upcoming The Unguided album “Lust and Loathing” is now out in the shape of a lyric video. If that one won’t make you pre-order the beast of an album. Nothing will! Check out the 3 bundles here. Short snippet from the upcoming music video included! Adrenaline Cruise 2016 with Amaranthe, The Unguided and Smash Into Pieces is closing it with big elk steps. Don’t miss the first show of the band 2016 at 8-9/1 (tickets here) and same goes with the Örebro gig during the evening of 9/1 (tickets here). Someone might have seen the Stockholm band Mental Issues when they were opening for us during “Fragile Immortality” at two occasions in Stockholm? Well; they are now topical with a music video just and asked if I could lend them my pretty face (on the condition that it was covered). The result was released just yesterday. Check it out here above! Here’s the Q&A, have a wicked Xmas everyone!!! Q: Do you know what happened to Deathaction? Did they break up? Their website is down and “The Diaries” was taken off from Spotify/iTunes/Amazon. They're still on Facebook and Twitter but they don't respond to any messages. A: No idea what Sergey and the guys are up to, sorry. Doesn’t look like any news since 2014, so might be on hold as you are saying. I knew he said he was stopping with music at one point, but not sure whatever that was true or not. Good people that! Maybe you can try to ask Sergey directly here. A: Hi there soldier! Cool to hear you are a longtime fan and that you’ve supported us during some of our crowdfunding sessions. Really nice of you being able to chip in. The band is grateful and so should the fans be! It’s because of people like you; music videos to “Betrayer of The Code” and “Eye of The Thylacine” was made possible for example. I checked your band out on Spotify, and I do think it’s cool, whilst not entirely being of my own musical preferences. What I would suggest for a new band is to spend some money on proper studio recordings, or especially to get it mixed in a good quality studio. Because if the sound/demo is not up to today’s standards, people/labels will not bother anyway. Far too many up and coming bands do their recordings at home and let’s face it, even if they think it’s decent sounding, it’s still miles away from a mix in a proper studio. So throw your pride to the side here and just invest some money in that. Also, ask yourself; are we bringing something new and fresh to the market? And even if you don’t, do you have any aspect, nevertheless, that will be attractive to the crowds? I think this is often forgotten in new constellations and what people do is more trying to copy already existing concepts. It’s hard to impossible, to be original, but at least try to have something unique and own. I’d suggest to sit down with your friend and discuss this first and foremost, and maybe have a couple of friends, that like this kind of music, to weigh in, since in a band, you might not be as objective as you should, to your own material or concept. Food for thought! Other than that, keep up the good work bro. A: Dude! That’s one awesome family. May your bloodline have many descendants with equally good taste! Q: To start off; I want to say that my English is very...special ...sorry. So I just want to know if your group will come to Paris because I know a lot of your fans who want to see you IRL. - From your BIGGEST French fan. A: French fans! How lovely! Your English is fine (and way better than my French hehe). I know this question was sent in before the horrible events in Paris during November this year. But even with that in mind I do love Paris, and I’d absolutely love to play there again, and especially have the first gig ever with The Unguided in France. But I think there’s things in Europe that needs to be taken care off before putting our fans, ourselves and our crew in danger. Music is fun and The Unguided is a great hobby for us. But we are not eager to risk our lives over it, just to do some statement. I hope the world will recover to its full senses eventually and that everyone do whatever they can to relieve, the ongoing, mad climate. Q: I've been a big fan of yours since your Eden Fire album with Sonic Syndicate and first off want to say how much I love your music, as your one of the few bands I buy actual albums and merchandise from. A lot of your songs inspire the ideas I am using in a series of books I'm writing, this being said though; I've never had a chance in seeing you live. I was just curious if there was any ideas for you to come to the UK for a chance for your UK fans to see you. A: Thanks for the support! Actually I noticed a London gig on a first draft of our upcoming tour, which would be the first UK gig for The Unguided. But in the second draft it was scrapped, so not really sure what happened. I’ll investigate. I’m not too familiar to whatever we have a bit of a following in UK or not, but I for one definitely would think it appropriate with a London gig in connection with the new album! 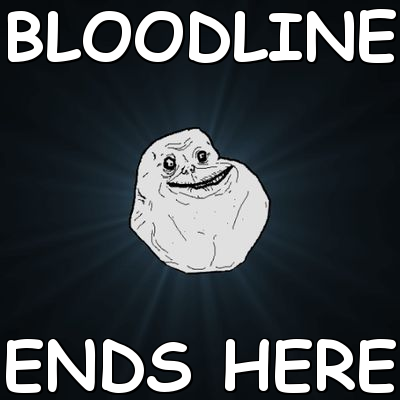 Q: Ages ago you mentioned that you used to play a lot of “Magic The Gathering”. So here's one for the blog: Give us your full history with Magic! When did you start? From which block? When did you stopped playing if stopped at all? What decks you used to play or still play? Which kind of deck you like to run and stuff. Give me EVERYTHING! I personally have just got into EDH and like the game a lot! A: There’s no fooling you! I’m a big fan of MTG, even if I haven’t played it too any serious extent for years and years. I still have a soft spot for it through. Back during our Fallen Angels days as early as 2002-2004, I even named our demo; “Black Lotus”, inspired by MTG. 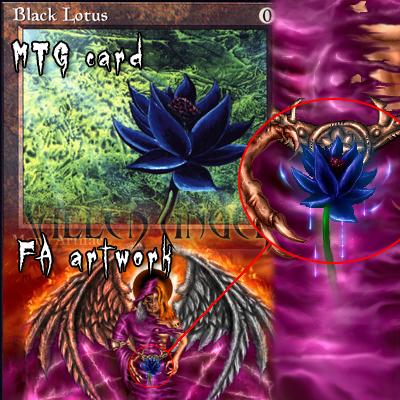 And when I did the artwork for the demo, I kind of replicated the Black Lotus illustration from that particular (legendary) MTG card. I know I fancied black, fairly fast decks, with a bit of “rush” tactics, but a few really heavy cards. My favorite card was Baron Sengir. My time with Magic must have started off with Fourth Edition, because I remember “Ice Age” was fresh on the market. So that was 1995. Then I progressed towards Fifth Edition 1997, which probably was around the time I stopped. If not a few years later. My favorite card from fifth edition was probably “Deflection”. I don’t think I saw much of the Sixth Edition (classic) released in 1999. Q: I'm from Germany from Aachen. I want to ask you if The Unguided Come to Germany next year (2016)? Maybe near Aachen or Cologne. The last time we saw you was 2013 in Frankfurt. A: Once the album is out, I’m sure Germany will definitely get their fair share of The Unguided since that’s undeniably our best market. See you soon! Q: You guys are amazing and your prior band Sonic Syndicate was great before you guys left and started up The Unguided. You brought back that old sound that the new Sonic Syndicate is missing. My friend; John Morris and I look up to you guys you give us inspiration and we hope to be as good as you guys someday. We are literally starting from nothing! John is still learning guitar and I've played drums for a while, but the sound you bring is so much more unique from example any US band I've heard. Please come play in the US people would love you, your tone is way different than most and with today’s generation it’s hard because over here they listen to a lot of pop/rap but there are still metal-heads in this nation such as myself I'd love to see you guys solo but if you did tour with another band then; The Sorrow, would be amazing they also have never toured in the US (at least not to my knowledge). Anyways just wanted to say keep up what you're doing because there’s not a single song I don’t like from you guys! A: It’s an honor! Would be rad to play with the gentlemen in; “The Sorrow”, for an US tour. But the economy to go to US play a couple of show is not really working out for us I’m afraid. To be frank, we’re a small band with small means, we are trying to work Europe as much as we can since it makes sense to travel and play here for us, as we are located in Sweden. This doesn’t rule out US, but the most realistic would be a like a festival gig of some sort, rather than a tour. You’ll have to keep naming us to festivals you enjoy there! A: nyny, firstborn of Cairo. It’s good to have some fresh tidings from the cradle of vampiric-life in this day and age. I do hope the spirit of Amel is treating you nicely and that Ra is keeping his pesky rays away from your self-igniting flesh. All of the unguided stories are indeed true. 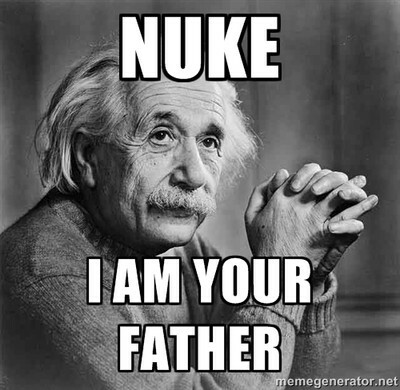 It just happened in different ages, universes (or are even yet to come?). May the night be with you my friend! Hetep Hena Ten. Q: What’s up Richard? I recently ran into your music and I am loving every single track I crossed Can you please tell me what the phrase; "you always sent flies to wounds you should have healed" mean, in the song Eye of the thylacine”? Thanks in advance and greetings from Mexico. Q: I love The Unguided crest. I'm wondering if it has any meaning because a neckless with the crest is currently being made. A: I know you are done with the necklace, so this is answered a bit retroactive. Sorry for not getting this information to you in time! Anyway; The Unguided crest, is a symbol of cows and their many stomachs. In the crest there’s actually an accurately portrayed picture of the abomasum. 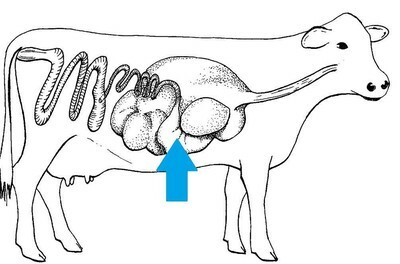 The fourth and final stomach of the cow. We love cows, we think they bring a lot of good to the word. In certain countries and religions they are even viewed as holy. And in ancient computer games, there were entire levels inspired by cattle. I think this tells a lot, and we have a lot to learn about these extraordinary animals. A: Roland sings "the fallen angel" at the spot you describe. A: I’ll do my best! And it’s still called “The Book of The Unguided”. Q: How many songs belong to the story? A: There’s 5 songs (excluding Judgment & Mercy) on “Lust and Loathing” that revolves around the concept. Which means there will be a total of 15 songs (including Judgment & Mercy) based on “The Book of The Unguded” in the bands custody. Q: Are these songs in order? A: They are! “Enraged” and “Black Eyed Angel” is pretty much happening at the same time, but they are both like follow ups to where; “Oblivion”, left you. “Phobos Grip” is more of a side story I’d say, it’s the sequel to “Unknown Entity” and is dealing with the “Inception”-music video characters and their vendetta. So that particular song might not be chronologically following the timeline, like the rest. “Operation: E.A.E” and the grand finale; "Hate (And Other Triumphs) definitely are however. Q: Who is the guy on the ENRAGED t-shirt? A: That’s the synthetic character from the “Inception”-video and Hong’s “Inception”-sketches. Just without the mask and robe, as he have been heavily battle-scarred from pretty much soccer “heading” a nuke. 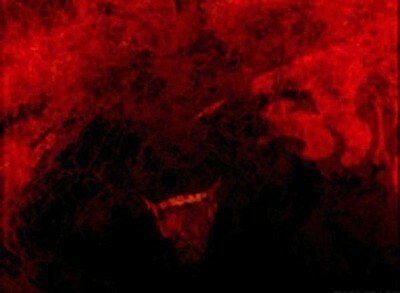 Q: Is ENRAGED the next single? A: “Enraged” might or might not be the next single. Q: Is the Lyric line "Everyone is haunted by the past, few get the opportunity to change it " from ENRAGED? A: No, that line is from “Black Eyed Angel”. Q: When will the new music video come out? 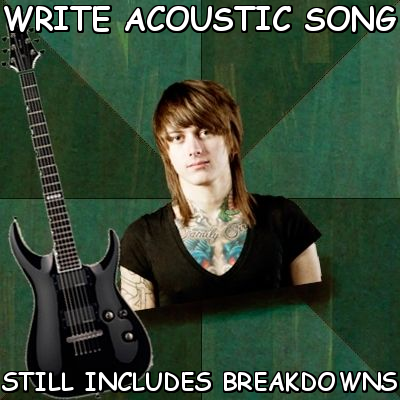 Q: What did you guy’s decide about releasing acoustic versions of the songs, as bonus tracks? A: Still in the talks! But it was not possible for this album. We went for live version bonus track this time around. As we already had that material. Q: Will we ever get to read THE BOOK OF THE UNGUIDED? A: The entire story is included in the booklet of the coming album. Feels scary! You’ll eventually have to give me feedback on whatever you want a continuation of it or not, on coming albums. As I’ve left some doors open in the story to expand on. Q: That's it for now, I'll come out with more once the new single and the album get released. I'm really anxious to hear the new music and read the LYRICS :B Thanks for your awesome work and dedication! Grettings from mexico! UNGUIDED WE STAND!! A: You are in for a ride! Q: Good to hear news about new album, can't wait to hear it. Have no doubt it's good since you always try hard to make the best result possible. Made a reference list on tracks from it (it's in attachment), not sure about Heartseeker and Boneyard, guess they may just be new titles. For some reason I kind of expected a Brown Eyed Angel instead of Black eyed one. By the way, in previous mail when I said that "When all the seraphim cry" is a reference to "Prelude to extinction", I meant that it's the reference to the line "When all demons scream", sorry for not making it clearer. A: I’ve reviewed your references and I’m afraid it’s not 100% accurate this time around. 1, 3, 6, 7, 8 and 9 is spot on obviously. I guess “The Worst Day (Revisited) is more leaning towards “My Escape” and does not have anything to do with “Hellgate: Worcester”. “Phobos Grip” doesn’t have any relation with “Power Shift” either. “Boneyard” could vaguely be viewed as a “Dead Planet” thematic song, but it’s the same vein as “Inherit The Earth” and “Eye of The Thylacine” as well (it’s not a concept song as EOTT however, it’s a global problematic song). But yeah, I didn’t have “Dead Planet” in mind for the title when I wrote it, it’s more of a coincidence. Good thinking nevertheless!